It's red, white, and blue kind of day. 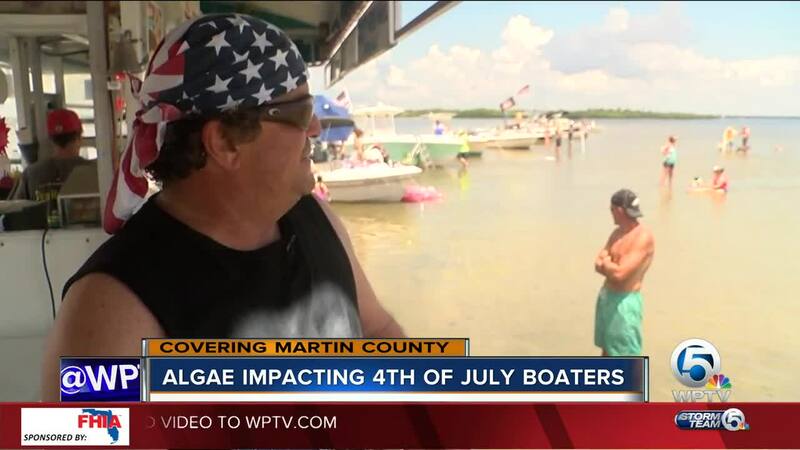 But is it a boating or swimming kind of day on the Treasure Coast? George Sawley took us out to the Stuart Sandbar to find out. "Usually it's very popular," said Sawley. "Interesting to see if people swim in this." 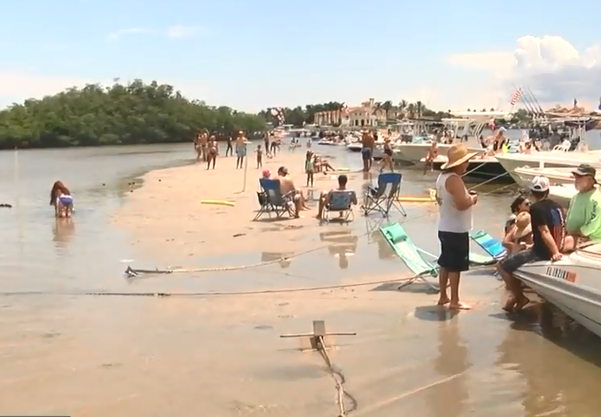 At the Crusty Crab, Paul Gallo says the sandbar is usually packed with thousands on the 4th of July. All the reports of algae kept a good amount away. "Don't think the turnout is good," said Gallo. Some who made it out got in the water. Others like Kevin Marone enjoyed the water without swimming. "Do the best we can with it," said Gallo. Afterward, George reflects on what he witnessed. "It hasn't been clean in months and doesn't look like it's getting any better anytime soon," said Sawley.